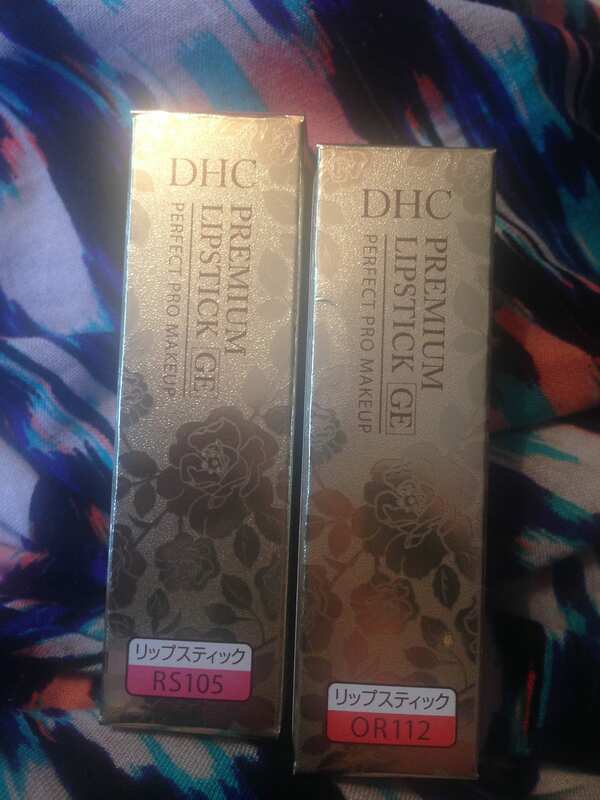 DHC are a new brand which is due to launch on August 1st 2014. The lipstick is made to fight anti ageing in two ways. It uses pure colour technology which is micronised pigments which deflect light which creates a plumping lip effect. Second of all it reduces the appearance of vertical lines with an aray of age busting ingredients which includes macadamia oil, olive oil, rice bran oil which all moisturise and collagen and sodium hyaluronate to lock in the moisture and vitamin A and geranium to protect and condition. What more could you want from a lipstick?! I was really excited about receiving these products as I love lipstick and will not be seen without it on! What made receiving this extra nice was the handwritten note inside with my products. It made it so much more personal. When I first opened the products I thought they looked a little dark and not something I would go for as I tend to opt for bold and bright colours but after swatching them on my hand the colours looked really different. I was sent ‘rich raspberry’ and ‘bold persimmon’. I really liked both of the colours when they were on. 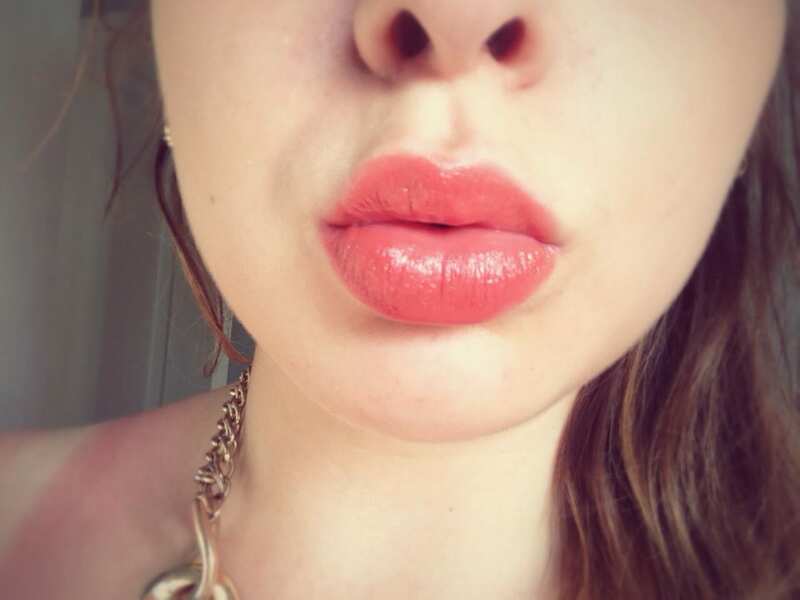 They were both really subtle but were bright enough to show you had dressed your lips. The product went on so easily and softly. There was no dragging and didn’t need to go over the lips a few times to get full effect. I often find that some lipsticks are really heavy. You can feel it on your lips and sometimes it clumps together but with this product I didn’t even feel I had anything on! 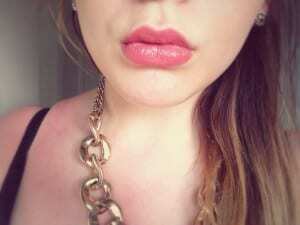 My lips felt soft and the colour lasted. Another thing I really liked about this product was it looked slightly different colours in different light. 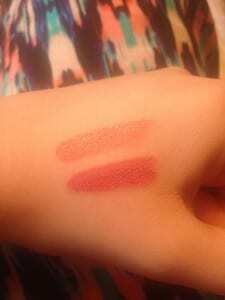 It was really hard to pick my favourite colour as they both matched my skin tone perfectly and looked really soft. The only thing I didn’t like about thus product was it doesn’t stay on too long but in the scheme of things, that is minor. I’m really excited for this to be launched and to try the other colours! RRP: £13 Launch date: 1st August 2014. Edited selections of DHC products are also available at BeautyMART, Selfridges, Fenwick of Bond Street, Bentalls and John Bell & Croyden. ps, sorry for the sunburn.